This last weekend, I and a good percentage of my fellow East Yorkshire compadres (not all as Rugby is still big in Hull and Hull KR played Hull FC that same day!) were either sat in the London sun at Wembley or, like me, huddled in front of the biggest TV we could find. Of course, none of us really entertained the idea that we could actually win the FA Cup but we all brimmed with pride and awe at the occasion none the less. But you also knew, as underdogs, we had nothing at all to lose and there is always the chance, no matter how slim, that on the day and for 90 minutes, Hull City could be the better team. Of course, 10 minutes after kick off and the score Hull City 2 Arsenal 0, we perhaps did allow ourselves a moment or two to dream that maybe it was going to be the underdog’s day and that Curtis Davies would lift that cup for the long suffering fans of Hull City. In the end, it wasn’t to be, but the overwhelming sense of pride at having made Arsenal and their fans suffer and work for their reward made it all worthwhile. In fact, now we have a taste for such occasions, we want more! Of course, when you play a team like Arsenal you are playing a global brand. People who have never been to Arsenal support that club all around the world and they expect success. Arsenal have a history and a pedigree. They have one player valued at two times our entire squad. It’s easy to support a team like Arsenal. But, I have to say, I would have liked to see more media coverage of the underdog. 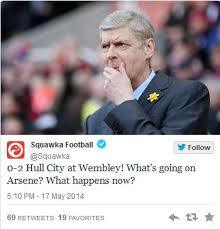 Hull’s story is a much better one than Arsenals. Its easy to be an Arsenal fan with expectations of Premier League football, Europe and silverware year in and year out so it must be tough to go 9 years without a trophy. Arsenal fans everywhere have my sympathy. I full well understand how 9-years is an eternity to wait. You see, Hull City was founded 110-years ago and we have never won anything. After Saturday’s glorious defeat, we have still never won anything. 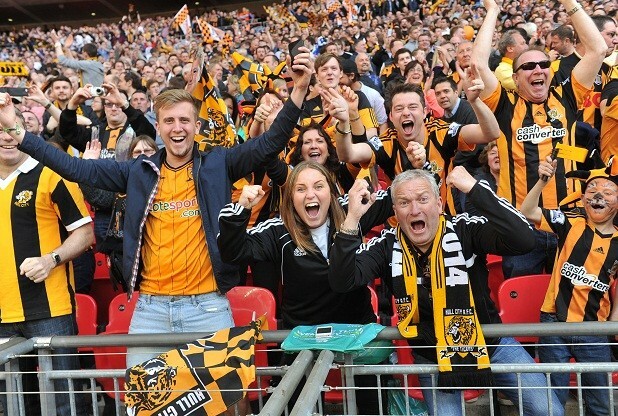 There are loyal Hull City fans, born and bred in Hull, who have been born and died without ever seeing Hull City win anything. These are real fans. To be honest, the media could have done a better job. A decade ago, Hull City were in the bottom tier of English football. Almost went out of business a couple of times. The club has gone from bottom to top in a short period of time and we all of course hope that over the next few years, it will stay there and that we will win something soon. But thats the difference between us and Arsenal fans. They get all weird over not winning a trophy in 9-years, we just support our team through thick and thin – mostly thin times. There are some truly great stories that they could have done a better job of picking up on. In fact, having travelled a lot in my life I can say that there is something about being from Yorkshire and Hull – in that order. Hull has always been somehow cut off from everything by virtue of its geographic position. The huge muddy estuary of the Humber to the south, the boulder clay cliffs of the east coast leave only the north and west accessible. Hull has always been a sort of maverick place willing to assert itself whether that was the Icelandic cod war or the English civil war! Hull has historically been a backwater cut off from the south albeit an important backwater as a result of its port and access to the ocean. Being essentially cut off and isolated is in the psyche of its inhabitants too. We are unafraid, down to earth and unimpressed with attitudes. We get on with it, make the best of it and know how to enjoy ourselves. There is an element of Yorkshire spirit too in there but with a definite Hull edge. 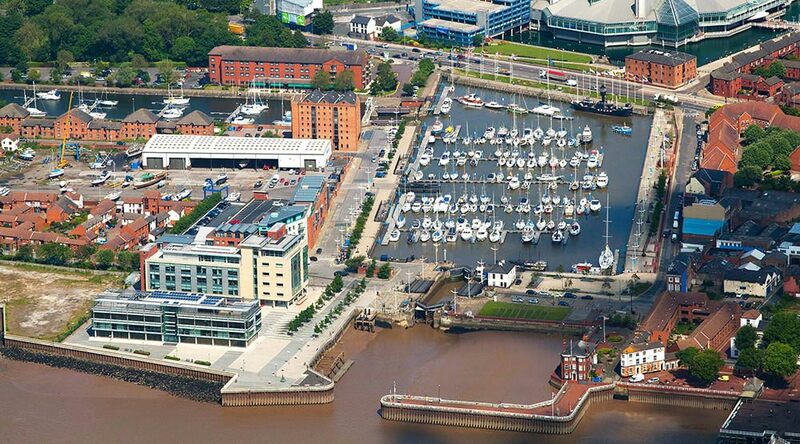 We are like our team – resolute, spirited and uncomplaining taking little or no notice of what others might think or say – after all, the vast majority of them have never been to Hull! So, quite honestly I feel sorry for Arsenal fans having to wait 9-years to win something. They plainly don’t have the stomach for the long haul or for adversity that comes with being born north of Watford and especially in a little City called Kingston upon the River Hull. Hull City Honours – from Wikipedia.